Creative and fun ways to announce pregnancy to family in person! You finally got that Big Fat Positive. And maybe you’ve been fighting your way through morning sickness and your first trimester to-do list. But now it’s time to tell your parents! Thanks to social media, we now have endless inspiration about how to announce your pregnancy to your parents! But there are just so many ideas – you could spend 9 months dreaming up the ‘perfect’ pregnancy announcement idea. 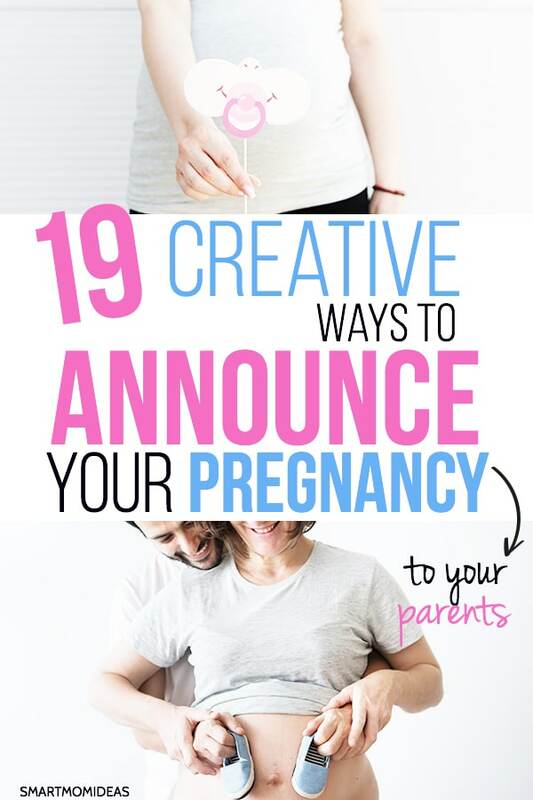 So I’ve rounded up 19 of the best ways to reveal your pregnancy to family. With Christmas or any other holiday, why not gift wrap a cute onesie and present it to the grandparents-to-be? You could build the excitement by giving them their ‘real’ gifts first and then telling them there’s one more gift you can’t wait to give them! This is a cute pregnancy announcement idea. How cute would it be to announce your pregnancy with a sonogram photo? You could hide the sonogram photo in amongst a bunch of other photos and let your parents find it themselves! Or you could hide the photo in a Christmas, birthday, Mother’s Day or Father’s Day card. Whatever you choose, ‘seeing’ their new grandchild will add to the excitement. And you can also announce your pregnancy on Facebook or on Instagram too! Let your parents ‘puzzle’ out your good news with a cute pregnancy announcement puzzle. Or why not take a cute pregnancy announcement photo and have it made into a jigsaw – just check out your favorite photo print service for options. How cute are baby booties? And how fun would it be for grandparents-to-be to unwrap? Or you could get creative and leave the booties somewhere unexpected. A good friend of mine let her family dog ‘deliver’ the good news to her parents when they were visiting for Easter. There were smiles – and tears – all round. So fun!! You can even use little moccasins since they are cute and adorable. And you can pick the color for your baby shoes if you feel like including a gender reveal! Even though you may have had to give up your caffeine habit, this cute pregnancy announcement is perfect for coffee lovers. Perfect if you can’t actually deliver the good news in person. I know you’ll probably feel like shouting your baby news from the rooftops. But what about writing it in chalk on the sidewalk for your parents to discover? You could write your message with sidewalk chalk outside your mom’s favorite coffee shop. And then take her out for coffee and let her read the good news for herself. Whatever you decide this is an easy, stress free and budget-friendly way to announce your pregnancy. Nothing says ‘surprise’ like a handful of balloons, right? You can get more creative like this couple. If you can’t announce in person, you could get your balloon message delivered to your parents’ door! Wouldn’t they be surprised!! How about taking your mom out for ice cream and swapping out the spoon for a special announcement spoon? A pregnancy announcement spoon will make her forget all about the ice cream!! And it’s such an adorable keepsake – it would look great framed with a sonogram photo! And talking of keepsake, these cute mugs would make an awesome pregnancy announcement. Just imagine your dad’s surprise if you handed him in coffee in one of those mugs!! Make sure to have your camera ready to capture his reaction. If you already have a child, get them involved in the announcement with these cute t-shirts. Click on the shirt you like! Or get creative and get your own t-shirts printed. Getting your older child involved is an awesome way to help them cope with the transition and calm any anxieties they may have. 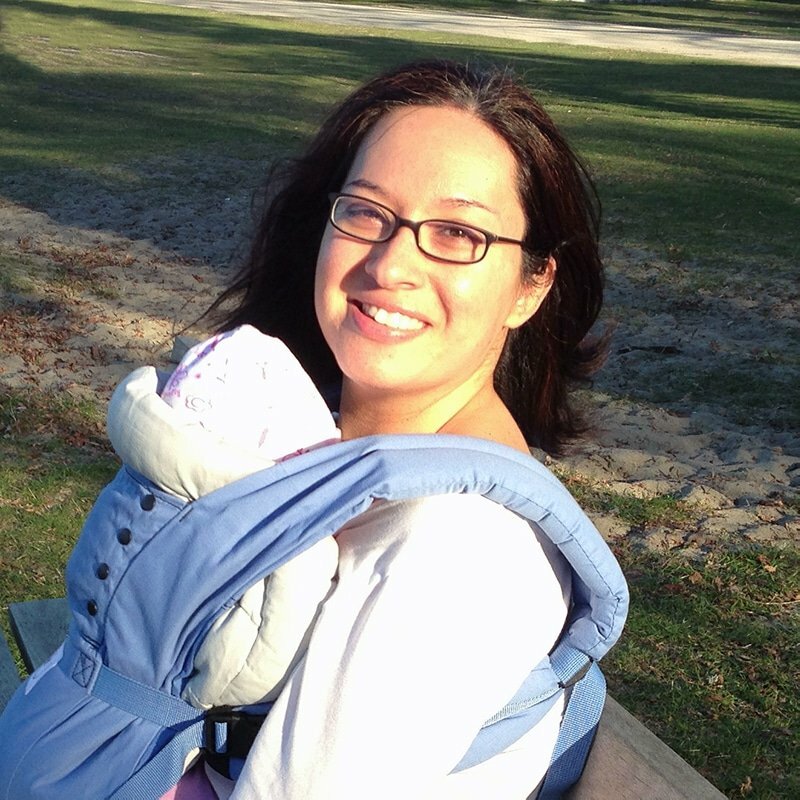 For more ways to help children cope with the news of a new baby, check out this post of things to do once you find out you’re pregnant. If you have a fur-baby, I’m sure these shirts would fit them fine, too!! Ok, more balloons! But I just couldn’t resist this cute pregnancy announcement photo shoot – and gender reveal. 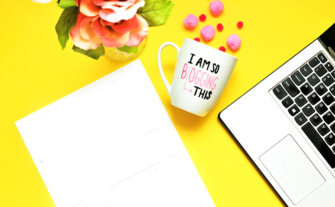 It’s so simple and easy to set up – because you’re pregnant and you need to rest as much as you can!! You can invite your parents to a park and have this all ready for the big reveal! And I do think this would be a totally fun family photo to show your children when they’re older! And so many ways you can get creative – take a look at this adorable pregnancy announcement. Or if you’re not in the mood for baking – hello, morning sickness – why not let this fun shirt make the announcement for you? Want more fun shirts? Check out my round-up of fun maternity shirts. And if you’re looking for some fun pregnancy shirts for dad, here are 4 of the best. And they come in a range of sizes and fits. What a fun way to announce your big news – my favorite is the last one! Click on the shirt you like! This one works as a cute photo shoot or if you’re announcing your pregnancy to your parents in person. The trick is to get creative and make your text say something personal to your family. Like this cute Halloween announcement. Check out this cute felt board. You’ll be using this one for all the major milestones too once baby is born. Maybe you’re a first time mom, but you already have a fur-baby. In which case the possibilities are endless. What about this cute announcement? Here’s a fun announcement board for your fur baby photo. Or write your own message on this cute board. And this one will definitely come in handy for other milestone photos!! Surprise the grandparents-to-be with a little stack of required grandparent reading! These cute board books will announce your pregnancy for you – and give your parents a taste of things to come!! This adorable idea for a photo shoot will announce your pregnancy in a fun and lighthearted way. And with all that morning sickness and exhaustion, it’s good to remember that pregnancy has its fun side, too! You can have your parents get your older child from a nap and walk into this eviction notice for the big surprise! I love this cute photoshoot to announce your pregnancy. And it’s a great concept that you can personalize to you and your husband. For sports fans, it could be an extra little cap or shirt. Or for foodies, it could be one extra little apron hanging on the kitchen door. The possibilities are endless. Develop the photo and just leave it in the kitchen for your parents to casually happenchance upon it. If you’re exhausted, hormonal, and coping with morning sickness ALL day, why not just keep things simple! Honestly, choosing the ‘perfect’ pregnancy announcement is not something to get stressed out about. Your parents will remember the moment you tell them you’re pregnant forever! So you don’t NEED to make it ‘more’ special. Wow! That’s a lot of inspiration with all of these pregnancy announcement ideas. But remember, mama, this is YOUR pregnancy. 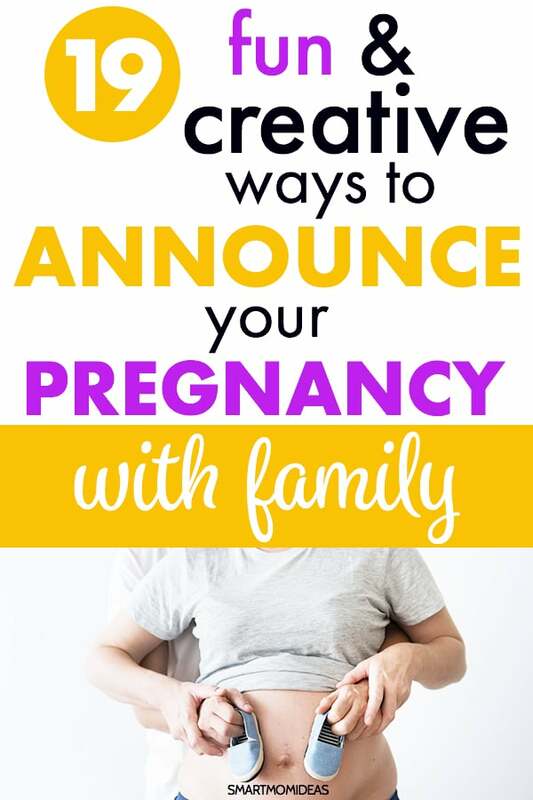 And you should announce your pregnancy the way you want to – and just blurting it out over the phone is fine, too!! You’re dealing with some pretty huge changes right now, don’t let the pregnancy announcement stress you out. Over to you – how are you going to announce your pregnancy? Let me know in the comments. I can’t wait to hear all about it!